“All event proceeds go directly to our local students. Our funding focus is designed to help support classroom teaching and extra-curricular activities that benefit all students,” said Kathy Aukes, the foundation’s president. “Woodland has a strong sense of community and Burgers and Brew brings people together to celebrate our dedication to public education and our young people,” Aukes said. The event’s activities will include a social hour with a silent auction starting at 5:30pm and dinner at 6:00pm. The dinner menu includes: gourmet hamburgers, potato salad, green salad, beans, beer and wine. Woodland and Pioneer High School students help prepare the salads, desserts and flower arrangements. Tickets are $25 each or $35 at the door. Tickets are available at Woodland school sites, National Town and Valley Properties and online at www.brownpapertickets.com If you have any questions, would like to be a sponsor or need tickets, please contact Tania Garcia-Cadena at (530) 401-8346, taniagc@sbcglobal.net or go to the Woodland Schools Foundation Facebook page for additional information. 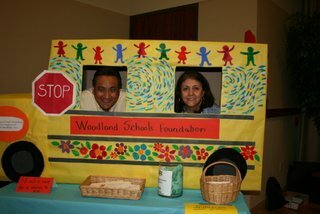 The Woodland Schools Foundation, a local nonprofit completely operated by volunteers, was formed by a group of parents and community members who shared a commitment to maintaining and supporting Woodland public schools.